New Little Free Library on Park Road | Park View, D.C.
A new Little Free Library has recently popped up in front of 453 Park Road. I’m continually fascinated by them and especially love their artistic qualities. 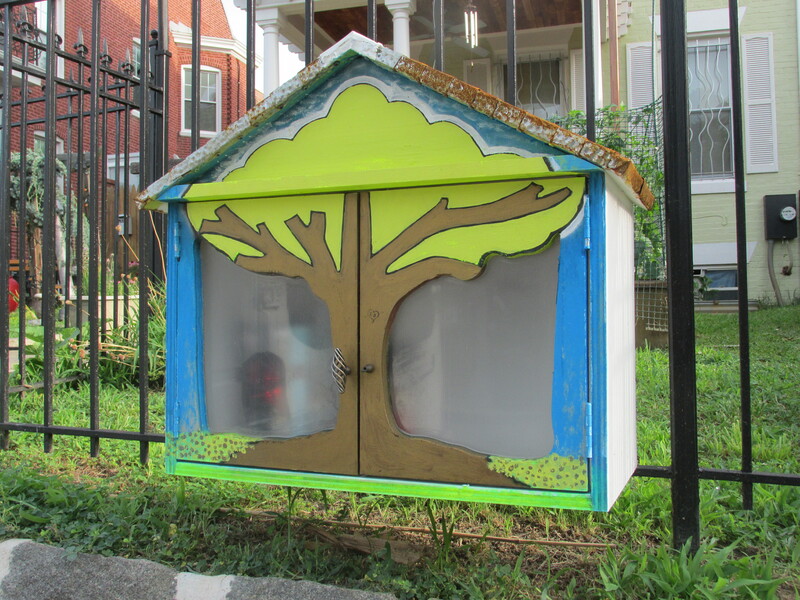 In June of 2014 a Little Free Library was added to the community garden at Bruce Monroe Park as well. This entry was posted on June 25, 2015 at 7:01 am and is filed under Random Observations. You can subscribe via RSS 2.0 feed to this post's comments. Too bad Bruce Monroe’s was vandalized in December of 2014. Yay! I’ll have to drop off some books soon.